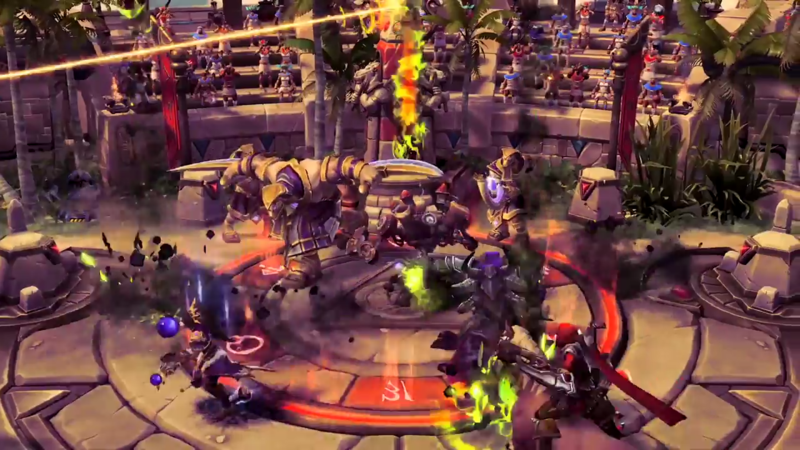 Heroes of The Storm Dev Discusses Cho'Gall Balance, Hero Design, And More! 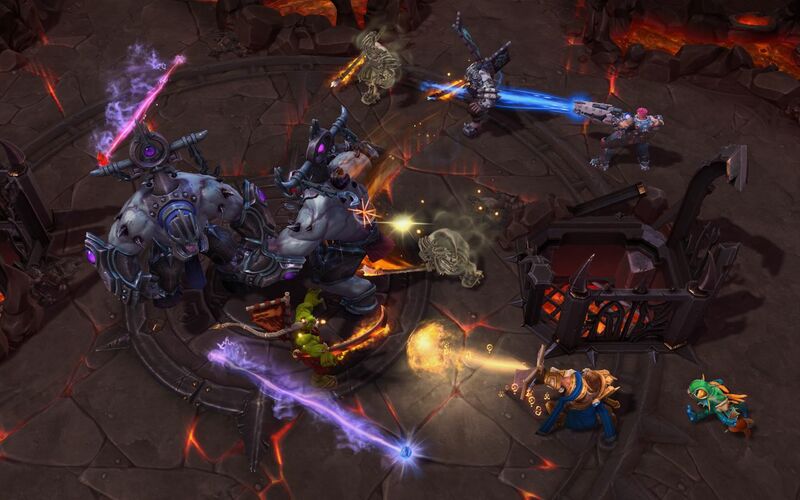 HoTS lead hero designer Kent-Erik Hagman says some changes are in store for Cho'Gall, and to not hold your breath for Widowmaker or Amazon heroes. 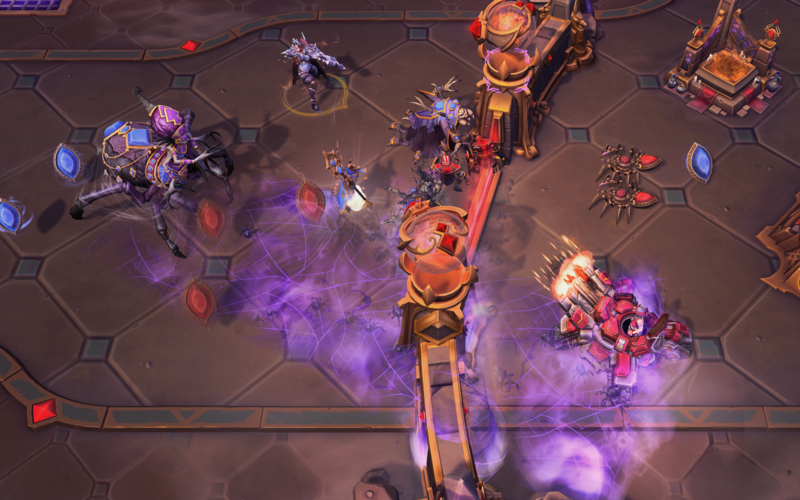 Thanks to Blizzard, we sat down with Heroes of The Storm lead hero designer Kent-Erik Hagman to pick his brain on some of our most pressing hero related questions. Among the questions were "what the heck is happening with Cho'Gall?" and "Will we ever see a Widowmaker hero?" He also offered some insights on how the team goes about designing a hero's kit to make each hero feel unique and special, and the relationship heroes have on map design (hint: map designers hate Sylvannas). The Escapist: First up, who is your favorite hero currently in the game, and why? Kent-Erik Hagman: Right now, it's Samuro! I mean, technically he's in the game, right? This is a Hero I've been waiting 2 years to get in the game, and he is just such a blast. It hits me in all the feels of nostalgia, and he's just such a fun hero to play! TE: It's always really cool to see the unique heroes that play completely differently to the standard 4 hero archetypes (assassin, tank, support, specialist), like The Lost Vikings, Cho'gall and Abathur. Are there plans for any more unconventional heroes in the future? KH: We've certainly stretched the genre in a variety of ways, and I definitely wouldn't say we're done yet! TE: If stuff as crazy as Cho'gall made it into the game, I'd love to hear about some crazy hero concepts that didn't make the cut. 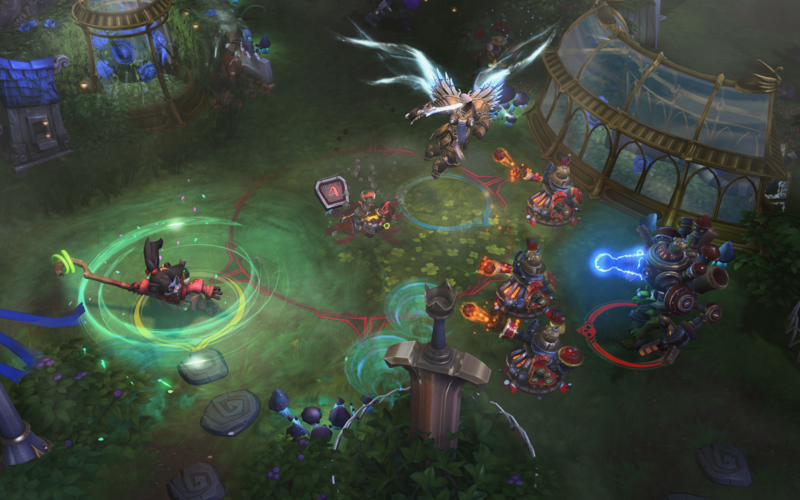 What's the wildest idea you ever had for a HoTS hero that was eventually rejected? KH: The thing is, some of those crazy ideas just one day may make it back into the light of day, so I don't know that I can talk about any of them quite yet...but, you might want to ask me again in 2 years!! TE: Unfortunately, TLV and Cho'gall don't really see much play these days, and are usually considered subpar heroes. How do you go about balancing such strange heroes? 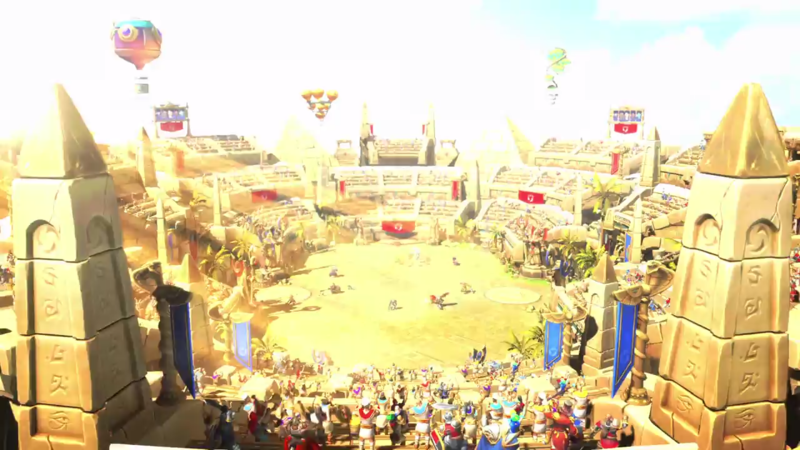 KH: We still see TLV get play on certain maps in high-levels of play. They certainly get to see the ban screen occasionally in professional levels of play. 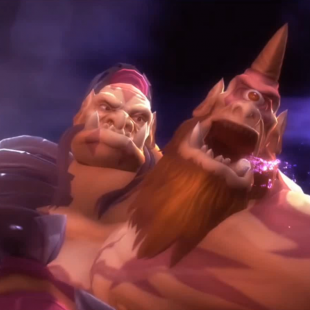 As for Cho'gall, we have some stuff coming down the pipe that affects the game at a systemic level (in a light way), that could have a big impact for our beloved two-headed doofus. They certainly aren't the easiest heroes to balance. For TLV, we're okay with them being a lower winrate hero at low levels of play, because we know at high levels they can dominate games. As for Cho'gall, he's going to be one of those Heroes that really can only shine on certain battlegrounds, due to the 1-less body. TE: Currently, there are 13 StarCraft heroes, 13 Diablo heroes, 2 Overwatch Heroes, 1 "Blizzard Classic" hero and a whopping 28 Warcraft heroes. The bias seems to weigh heavily on Warcraft at this point, and I feel like it's only going to get worse - especially at the rate you guys are releasing new heroes! We already have almost all of the "major" Diablo characters, and StarCraft has always been fairly thin on "hero" characters. 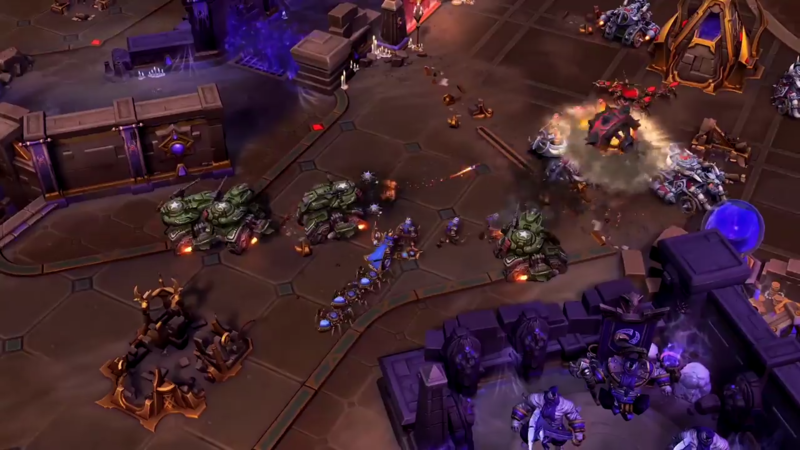 What will you do when you eventually "run out" of Diablo and StarCraft heroes? 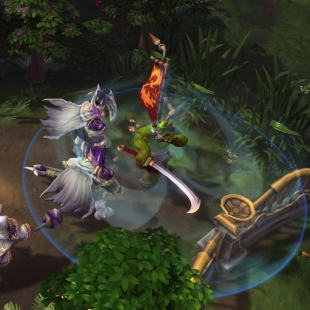 Are you worried about Warcraft characters dominating the Nexus? 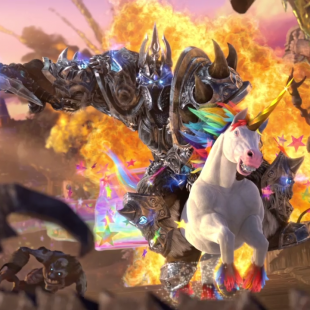 KH: I think it would be a fallacy to assume a goal of universe-parity, as Warcraft has always been, and probably will always be for quite some time, one of our most popular universes. Time and time again, the polls from our various fan websites consistently list a majority of Warcraft Heroes that our fans want to see. So, I wouldn't say we're too worried about having a healthy number of Warcraft heroes. That being said, we won't neglect Sanctuary and the Korpulu sector, as they are still just as near and dear to our hearts. We still have a large handful of characters from those universes that we want to pull in, and will in the coming years. There's a lot of runway in front of us, and I can't wait to explore it! 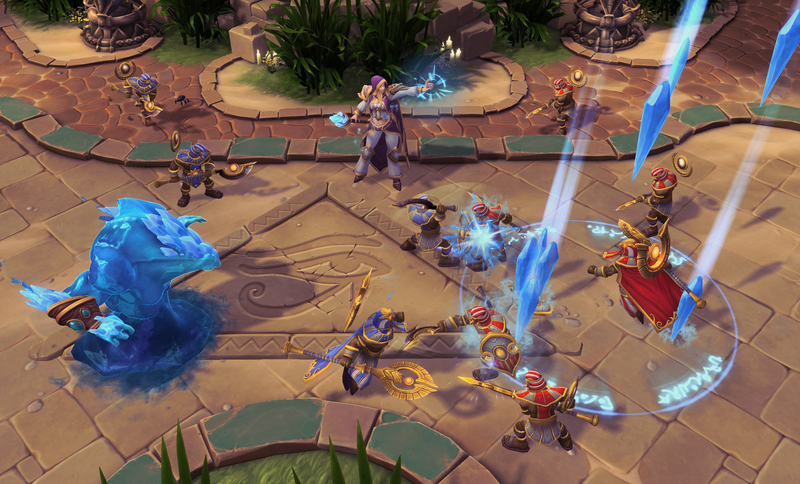 TE: It seems like Overwatch characters are starting to pour into the nexus, with Tracer and Zayra leading the charge. A question a lot of players have had, especially since Nova received a Widowmaker skin - will Windowmaker ever get her own HoTS hero? Similarly, will Diablo 2's Amazon ever become a playable character? KH: Widowmaker is a tricky one. I'll never say never, but it's relatively unlikely. There are so many other Overwatch Heroes we are super interested in doing, that I think they'd take priority over Widowmaker for the time being. However, who knows what the game will be like in 2 years! The Amazon is one we've discussed as well, and I wouldn't rule it out either. It would present itself with certain difficulties, though, due to Nova's Amazon skin. I will say that going forward, it's something we're talking a lot more about when we go to make a skin, having the discussion about what it means for doing potential heroes in the future. TE: How do you go about designing a new hero's abilities - especially if that hero wasn't already a "Hero" character from Warcraft like Samuro? 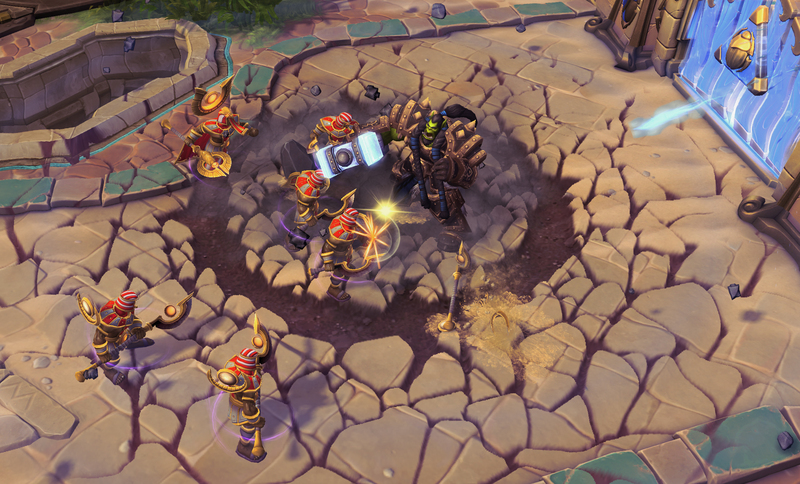 Do you try to ensure that every hero has a wide range of tools at their disposal, or do you allow heroes to focus in one area while sacrificing in others? KH: We typically try to identify a unique role for that Hero in the game. What's a reason you'd draft that Hero for your team over another Hero in a similar archetype? We want to make sure there is a place for every Hero in the game, to make sure each is its own special snowflake. There are certain tools every archetype needs to bring, so it's a combination of taking those two considerations in, along with understanding the Fantasy of that Hero. It's very important that the players feel like they are that Hero when playing them. 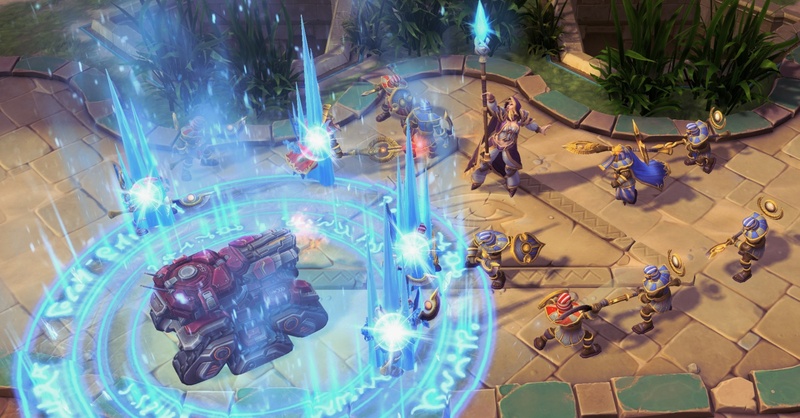 TE: Since HoTS has so many unique maps with unique objectives, it seems like it would be really important to work together with the map designers in order to make sure certain heroes aren't "broken" on certain maps. Have you ever had to rework a map because of this? Are there any cases of a certain hero being just completely overpowered due to a map's design? KH: We haven't quite gotten to that stage yet. However, our beloved Banshee Queen, Sylvanas, has certainly been a thorn in the side of our Battleground Designers, because of what she can do to a lot of the pushing mechanics with her ability to shut down towers. I will say, though, that as we add more and more Heroes and Battlegrounds to the game, we are increasingly comfortable with certain heroes being better on some battlegrounds, or not so good on others. 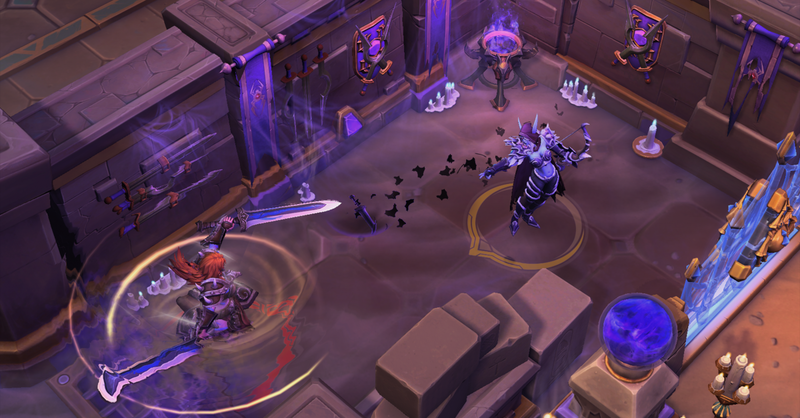 For instance, we think it's neat that on Battlefield of Eternity, you're looking for those high throughput, single-target DPS heroes like Greymane and Butcher for Immortal damage. That's awesome! We'd like to explore more of that, while understanding, like all other things, there's a balance to that. You don't want to go too far on this extreme. TE: What's the next hero you're working on? Can you give us any hints or a sneak peek? TE: Lastly, if you could have any non-Blizzard "guest" character in Heroes of The Storm (like Mega Man in Super Smash Bros), who would it be? KH: The Calculator-Class from Final Fantasy Tactics! That would be super wacky and fun to design...or Samus! But I don't know how that would work lol! I just love my Metroid!